ALE has recently completed the lifting and load-our of four suction anchors for the Zohr gas project, located in the Egyptian sector of the Mediterranean Sea. The various manoeuvres took place in the Port of Alexandria where the four suction anchors were stored near the dock. Each of the columns had different weights and dimensions, ranging from 185t to 220t. 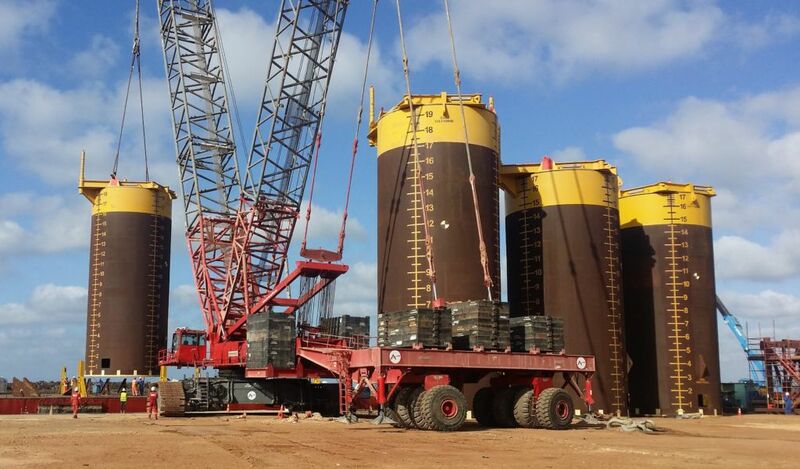 The anchor parts were moved using a crawler crane with 850t capacity and a radius of up to 30m. 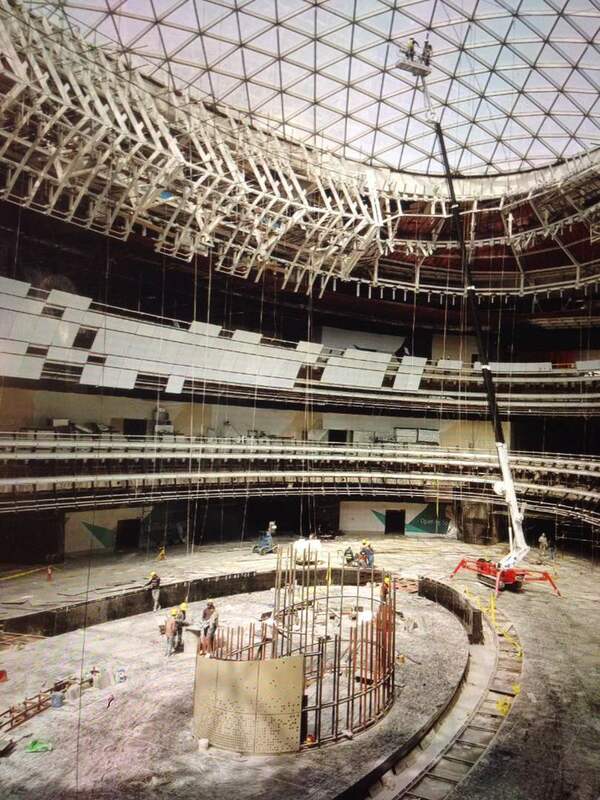 In addition to these pieces, ALE has loaded-out other less imposing pieces such as a 65t circular hub and a 95t rectangular ladder piece. The ALE team completed the installation of all parts safely and within the deadline set by the client. 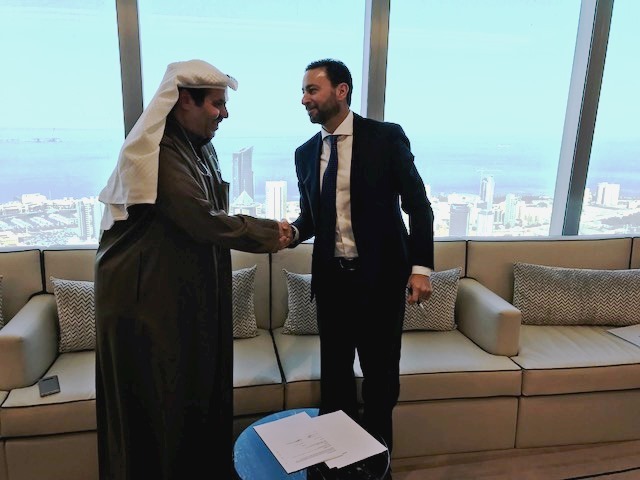 The Turkish construction company Limak Insaat has just contracted Mammoet to carry out the transport and installation of 804 concrete elements for a new $4,3bn terminal construction project at Kuwait International Airport on behalf of the Kuwait Ministry of Public Works. This state-of-the-art terminal should expand the airport and establish a new regional air hub in the Gulf, increasing passenger capacity to 25 million per year. 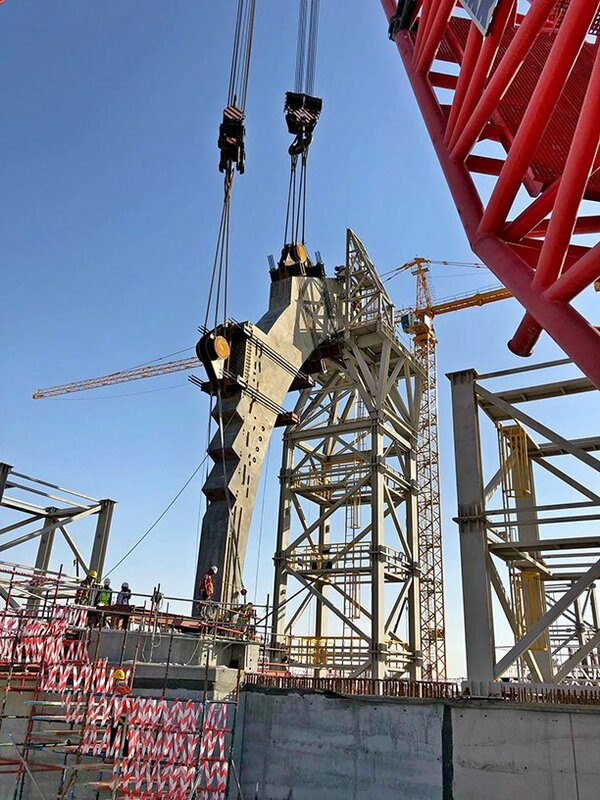 Mammoet’s task will be to install all the concrete elements of the terminal’s main structure, weighing between 200 and 360t. To complete the operations, Mammoet will use nine crawler cranes with capacities from 600 to 1600t and 72 axle lines of SPMT. 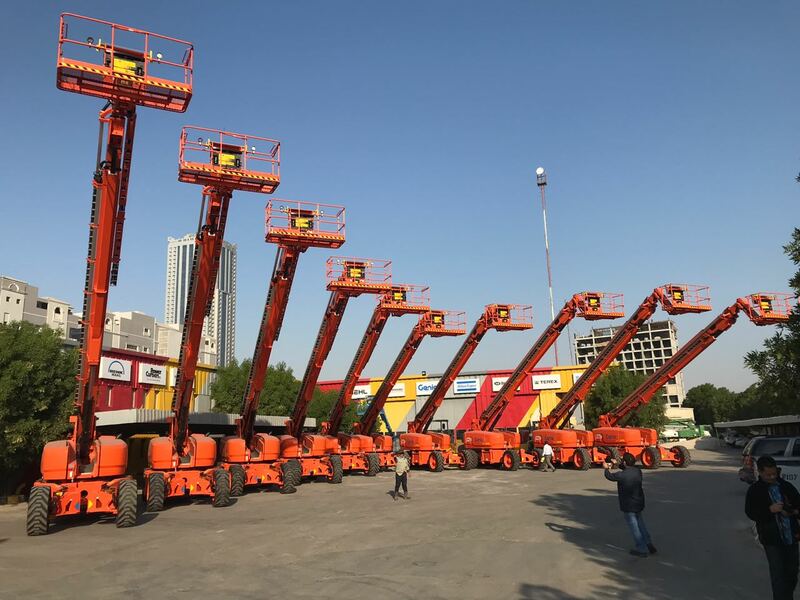 Focus on solution to support the needs of petrol project specialist customer Aramco, Saudi Arabian heavy equipment rental company Bin Quraya (a company member of the Bin Quraya Group) recently invested in ten, 40 m (131 ft) Genie Xtra Capacity (XC) boom lifts delivered this January. The machines were supplied by Saudi Arabian-based Authorized Genie Distributors, Middle East Development Co. Ltd. (Medco). These heavier capacity machines will provide the ability to work more efficiently and productively. 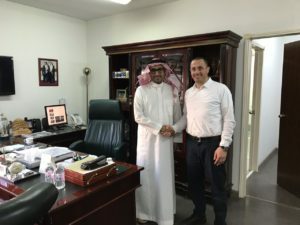 “When we invest, we are looking for equipment with an excellent reputation in the market backed by a local distributor that understands our needs, and that we can consider as a true business partner,” says Mr. Hamad Bin Quraya. 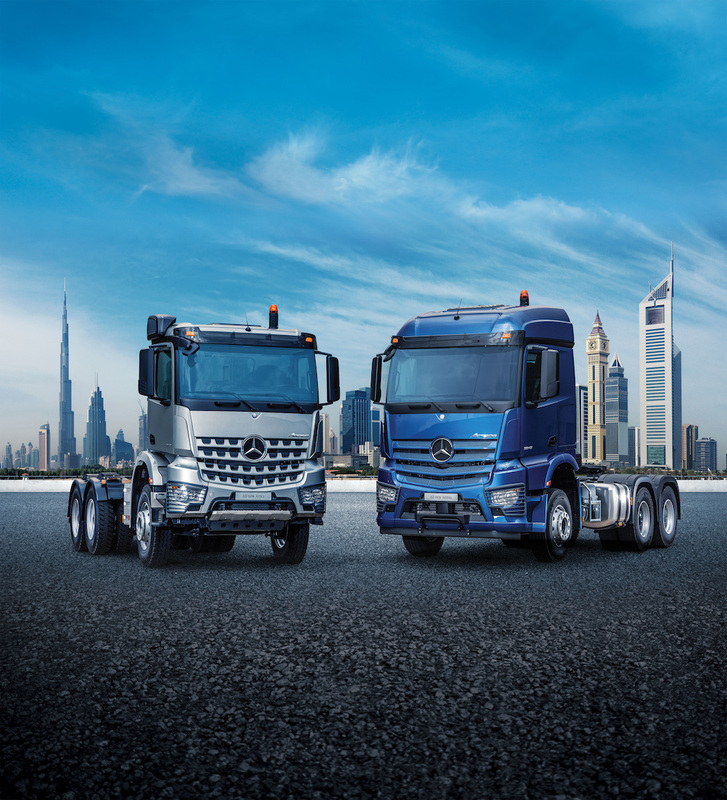 In 2017, Daimler sold more than 35000 vehicles under the Mercedes-Benz and Fuso brand names across the Middle East, North Africa and sub-Saharan Africa, some 20 percent more than in the year before.